Welcome my guest blogger Jim Gordon! He is modeling what it is like to create Christian community (CHURCH) after leaving the institution. He was involved in the system for over 50 years! He thoughtfully and kindly shares his concerns with institutionalized religion and how they have been hurting people. He is a mentor for me in how he navigates the culture. In today’s article, he shares his heart for people who have left church. When we talk about leaving church, people usually misunderstand why we made such a decision. Christian people who remain in the traditional church system automatically think we have left our faith, have given up on God or are back-sliding into a bad spiritual condition. We feel we no longer get much out of the weekly organized service with one person doing all the talking in a building where only a select few have anything to do with the pre-planned service. We feel that when we gather with others each of us should have a voice, some word of teaching or encouragement. For those of us who are followers of Jesus, most of us grew up in the church system. That is all most of us have known. Yet it seems the Spirit is drawing many out of the system and into a more organic way of gathering. 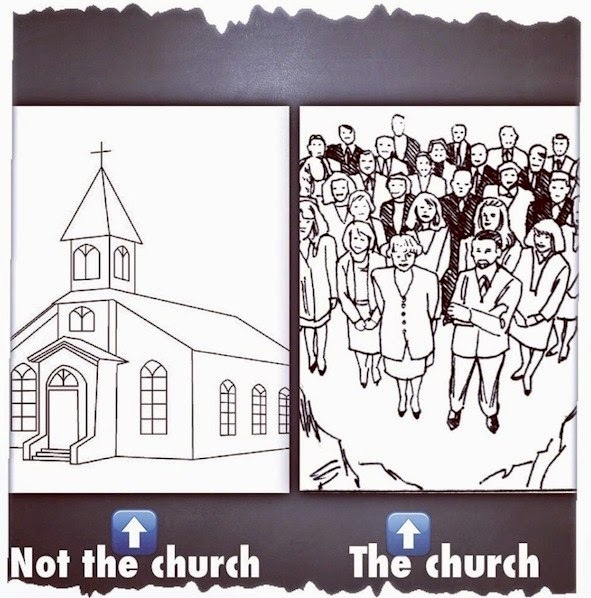 Church no longer is seen as a building or an organization based on traditions and doctrines of men. Church is community, it is people living daily under the guidance of the Holy Spirit and the love of God. It is coming along-side other believers for fellowship, encouragement and building one another up in Christ. This can happen anywhere and any day, in homes, restaurants, parks, pubs……even in buildings when all can participate and be used by the Spirit to encourage others. For those still in the traditional system, please do not worry about those of us who have left. We have not left God. There is no reason why we cannot all accept one another and the choices we make in regard to attending a religious organization or following Jesus outside the walls of religion. Whether in or out of the institutional church, each of us in our own way are trying to follow Jesus in the way we feel he is leading us.